Junior golfer Daymond Dollens was named a 2018 Google Cloud Academic All-District® Men’s At-Large honoree and a 2018 Daktronics NAIA Scholar-Athlete. Traffic was backing up in front of the Columbia College men’s golf van as it made its way toward the course for the Park University Spring Invitational in mid-April. A car was stalled at a stoplight off the interstate exit, leading to a whole bunch of honking horns and fuming drivers. Cougars junior golfer Daymond Dollens saw that nobody was doing anything to help the situation. So he and senior Trevor Cronin asked coach John Utley to pull the van over. 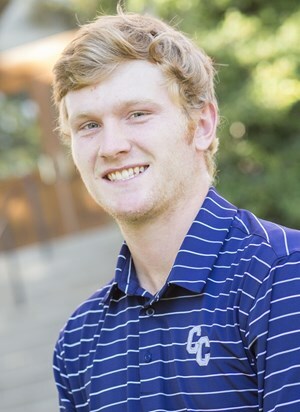 It’s all in a day’s work for Dollens, the Centralia, Missouri, native who is consistently the Cougars’ lowest-scoring golfer. He also happens to be entering his second year as president of the Columbia College Student Government Association. “I really felt it was my duty, and I was really inspired to run, because it was a good way to serve Columbia College, the school that has given me so much,” Dollens says. He started his student government career as freshman class representative thanks to a push from former SGA president Sarah Barris, who was one of the first people Dollens met on campus. The next year, he occupied an executive board position and then, as a junior, assumed the presidency. As SGA president, Dollens served on the committee to hire a new dean for students and participated in the formation of a new college-wide mission statement task force. A mathematics major and business minor, Dollens hopes to continue on to graduate school so he can be a college instructor. 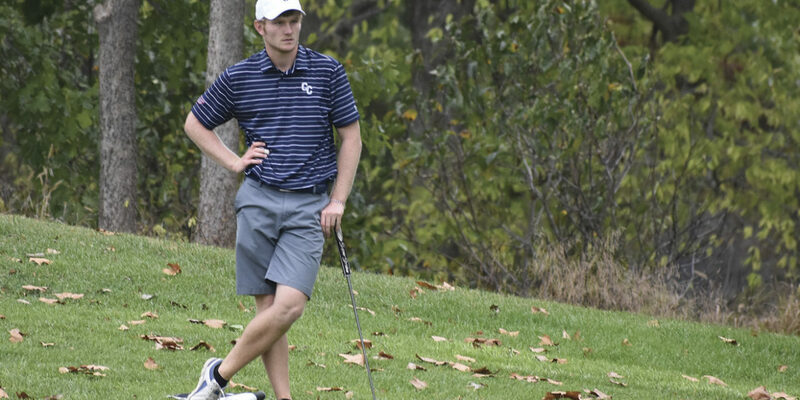 At Columbia College, his instructors — along with his golf teammates and coaches, and his fellow SGA members — have allowed him to follow all of his passions. “It was a very big concern when I first started SGA, if I could be SGA president and play golf. It’s worked out great because of all the support,” Dollens says.